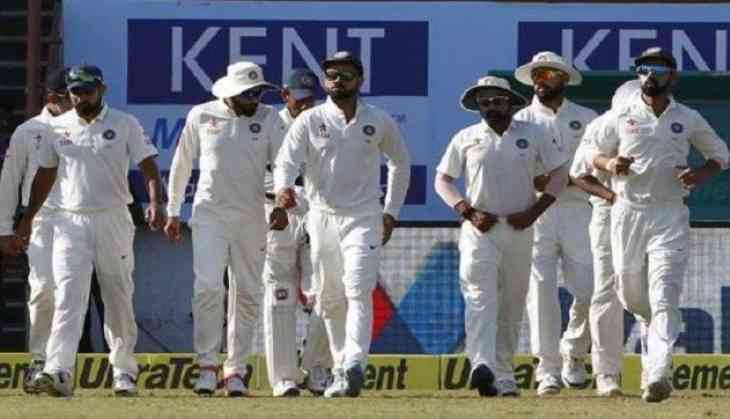 India will look to end their two-month long tour to England on a high note while taking on the host side in the last Test of the ongoing five-match series at the Oval Cricket Ground on Friday. The Virat Kohli-led side have already lost the series by conceding a 60-run defeat against England in the fourth Test, but a win in the last match will definitely boost the team's confidence. Indian skipper Virat Kohli and head coach Ravi Shastri spoke extensively about how the team came close to winning matches but could not complete the game. With nothing at stake in the last Test, India has the opportunity to prove that they know the art of finishing the game. In the series so far, no other batsman, except Kohli, Cheteshwar Pujara and Ajinkya Rahane, could make a game-changing impact. Hardik Pandya, with his 52-run knock in the second innings of the third Test, hinted that he could step up to the occasion, but the all-rounder has got a lot more to prove. The bowling department of the team, on the other hand, has been quite impressive throughout the series and the team would once again look up to the pacers like Ishant Sharma, Jasprit Bumrah and Mohammed Shami to put the batting order of the English side under pressure. The match will go into the record books of Test cricket as it is going to be the last one for former England skipper Alastair Cook. The left-hander, who announced that he would call curtains on his international career following the fifth and final Test, had made his debut against India in 2006 and captained the English side for a record 59 Test matches and led the country to 24 wins in the longest format of the game. India-Virat Kohli (c), Shikhar Dhawan, Prithvi Shaw, KL Rahul, Cheteshwar Pujara, Ajinkya Rahane, Dinesh Karthik, Rishabh Pant (wk), Karun Nair, Hardik Pandya, R Ashwin, Ravindra Jadeja, Hanuma Vihari, Ishant Sharma, Umesh Yadav, Shardul Thakur, Mohammed Shami, Jasprit Bumrah. England- Joe Root (c), Alastair Cook, Keaton Jennings, Jonny Bairstow, Jos Buttler, Oliver Pope, Moeen Ali, Adil Rashid, Sam Curran, James Anderson, Stuart Broad, Chris Woakes, Ben Stokes, James Vince.